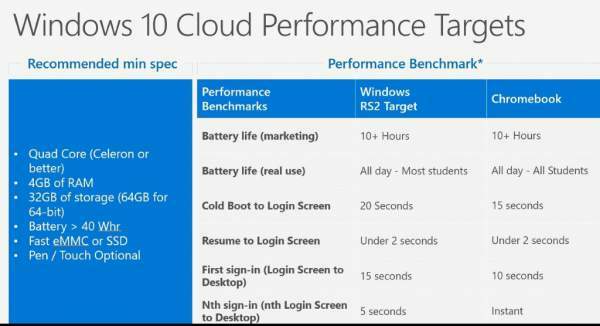 Windows 10 Cloud: Hardware Specs Leaked? Microsoft To Take On Google Chromebook OS Soon? 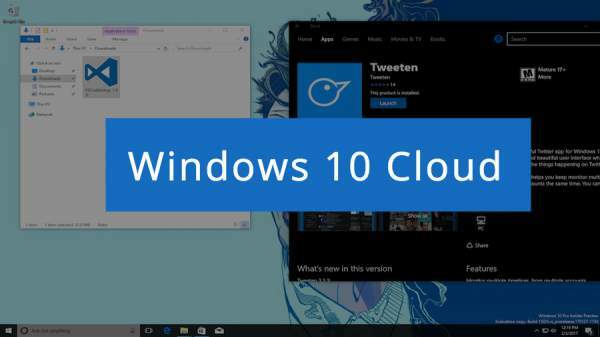 Windows 10 Cloud Release Date, Specs & News: Recently, we reported that the Redmond-based tech giant helmed by our very Satya Nadella is in plans to unveil a cloud-based Windows 10 OS on its upcoming scheduled press conference on 2nd May which would bring competition to Google’s Chromebook. And here comes another follow-up, giving further credibility to the fact. Forbes reported that a recent release of the Creators Update gave a strong lead as it says that it contained references in its code for a lighter variety of the OS. And as already reported earlier, this particular version of the OS is going to have some special demands when it comes to the permissible apps compatible with it. Rumors are ripe that this one would only be able to run applications that are designed for both the desktop and the mobile. So if you get a copy of your favorite software and try to install it, you are bound to get an error message until and unless it’s also available on windows store. Another product which might get to take in the breadth for the first time may be Surface Pro 5 with its Kaby processor. But this fact itself will make it a no-show as practically speaking, there seems no difference between this one and the last one. Anyways, with the release of this version of the OS, Microsoft Corporation will come directly in completion with Google Corp. as with particular one, manufacturers would be able to create computers that would challenge Chromebooks. So, with both fingers crossed, one can hope for something worth keeping a special press meeting when the Nadella and co. comes up on May 2, 2017. Microsoft may release Surface CloudBook on that date. Stay tuned to TheReporterTimes for latest OS updates and tech news around the world. Hard to see this being a threat to Chromebooks. Unless MS is going to build this Windows box from scratch to fix the long standing issues with Windows it is hard to imagine it gaining traction. Why would anyone buy it? Chromebooks were already doing well and basically overnight are the most supported platform with Android apps.